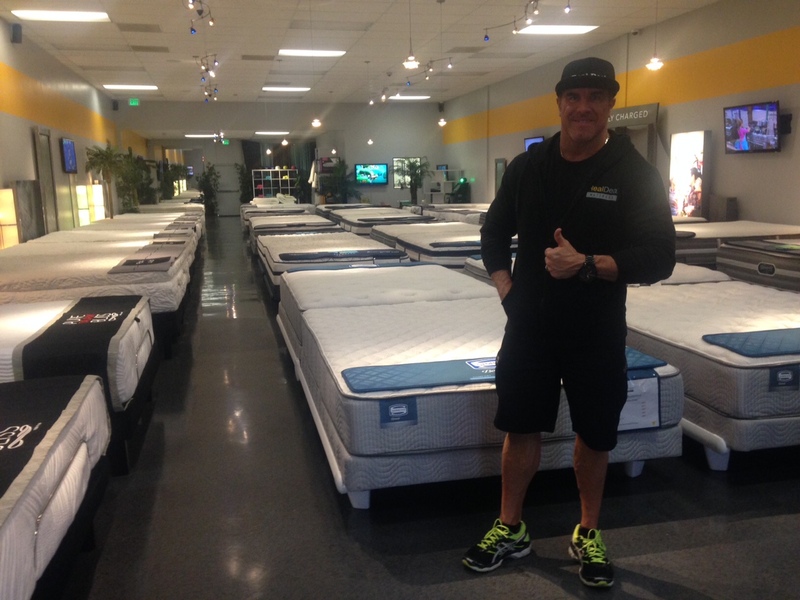 Kolau had the opportunity to interview JD, the owner of Real Deal Mattress, the highest rated retail store in San Diego with a five star rating on Yelp. We talked retail marketing and the strategies to acquire and retain customers that have worked for the Real Deal Mattress. JD focuses his attention on customer service which has allowed his business to thrive even in a market that is shifting to online purchases. With over 396 reviews and over 95% of them being five stars, you are the highest rated retail store in San Diego, not only in mattress sales but furniture as well, what makes your business unique? JD: What makes us unique is our showroom. We create a non-commission sales environment. We have non-commission sales people. We are very educational and very helpful. We encourage our customers to shop. The biggest thing that sets us apart is that we have a no pressure atmosphere and people love that. The setup of our show room also sets us apart. As you saw the layout of the showroom is spa-like, gorgeous, and clean. There are other retail shops that create no pressure environments, what other unique practices does your company engage in? We take care of our customers. Meaning we listen to them and see what their needs are. Rather than pushing them into something they don’t need, we listen to them and get them exactly what they need. Then post sale we make sure we take care of them. Okay, let’s talk retail marketing – You have a Yelp page, a Facebook Page, a website, and word of mouth. What is the most effective channel for acquiring customers? Word of mouth and Yelp. Word of mouth is pretty much all of our friends and social media as well. We consider social media as word of mouth. We consider Yelp word of mouth as well. What is your percentage of Yelp referrals vs. non-yelp referrals? I’d say 50/50. Fifty percent Yelp and then fifty percent everything else. You have quite a few Facebook followers. How important is social media for your business and your overall retail marketing strategy? It’s important because it’s more exposure, more branding, and people see it. Anyway that the public can see you is a good thing and social media is just that: another way for the public to see us. Macy’s, Sleep Train, Target, and Sears, are they a threat for individual mattress stores? For us, no. If anything they help us. When people go to those store and then come to us it’s easy to see the difference. It’s a different atmosphere because we don’t have high pressure commission based salespeople. They walk in here and it’s night and day. The larger stores raise awareness about a person’s need for a mattress because they are advertising. So they are an opportunity, not a threat? They help us because they are constantly advertising, telling people they need a mattress.That is a good thing for our business because when consumers go online and do some research they find us. Can other small independent shops who are not high in Yelp or Google be able to say the same thing? They should if they are smart. Unless you can’t find them online. If you can’t find the small business online then I would say that the large company is a threat. Visibility online is important. How do you keep your customers coming back or referring more people? Is there something that you do, like sending an email? No, we actually don’t. Once they do business with us we give them some VIP cards and say “can you spread the word?” and they always do. Can you give me more information about the VIP card? We hand out a friend of the family VIP card which has coupons based on how much they spend, and it encourages their friends to buy. Do you market anywhere offline like in magazines? Do you do any AdWords advertising? Very, very little. When you are first getting started you have to be on there and use AdWords to get your website up. AdWords was very important in the beginning. Just being on Google is everything. It is important to be visible. Organically visible is where you want to be but it takes a long time to get there. It takes a lot of credibility, people clicking on your website, to get to the organic area. So in the beginning you’ve got to do what you’ve got to do. Do some paid stuff. Do some AdWords. What is your top retail marketing advice for a small shop, mattress store, or furniture store struggling with customer acquisition ? Utilize Google. That is the number one way that people are searching for businesses online. Get your website out there. Search terms, keywords. What about your top retail marketing tip for small shops struggling with customer retention or customer referrals? You should give some incentives for referring friends and family. I used to do that in the beginning. Like the VIP cards. Where do you see the mattress industry going in the future? Give me a prediction for 2017. Will small businesses rise, be acquired, or close? Where do you see this industry heading? It’s getting smaller and smaller. People are either going to go out of business or if they are worth anything, like if they have 3-5 stores, then they can be bought or acquired. But the majority will not be around anymore. This is because the online market and the big box stores are taking over. Amazon is huge. The online industry has already taken off. So there won’t be independent mattress stores? In my opinion independent stores are going. Same thing with furniture stores. In the last few years in San Diego all the independent furniture stores have started going. They are all getting bought out. Even franchises like Mattress Train are all being bought by Mattress Firm. Mattress Firm is the largest mattress dealer in the country. They are buying everybody. They want to corner the market. So the independents can’t compete with price? They can’t compete with everything: the price, the marketing. The marketing that they do is insane. They are all over TV and radio everyday, all day. For me it’s opportunity because online we are ranked number one. But for most people they are not ranked like we are. How much do you think the online presence vs. retail store trend will increase? A lot. Online is incredible. So people don’t physically need to touch the mattress anymore? No, they do. That is why I’m still in business and Sleep Train is still in business. So increasingly the trend will be online? I didn’t think that about mattresses. Yes and I think that’s one of the reasons I’m still in brick and mortar. That’s why I haven’t switched over. I like the human interaction. This is a very intimate purchase. There is a lot to this. But I’m different than everyone else as you saw. I am really passionate about what I do. I get to learn more about people. The bottom line is that the online world is taking over all types of retail. Do you think that Amazon will soon be the leading mattress seller, even more than Mattress Firm? I don’t know if that’s possible. Mattress Firm has so many stores. But it’s a chop shop, turn and burn, cheap products. They are so leveraged that I’m not sure if they make money at all. They are so leveraged by the manufacturers that are making their beds. Tempurpedic basically owns them. They owe so much to Tempurpedic and eventually what you might see is Tempurpedic taking over all of their stores and making Tempurpedic exclusive stores. What is your final take away? The bottom line is that you get high rankings for customer service when you really care about your customers. We never ask for reviews. I let it organically work itself. We never ask for reviews at time of sale and we never follow up and ask for them later. Most dealers are asking customers and begging them for reviews and even offering discounts for reviews. That’s when you can tell the review is not genuine but for our reviews people write novels and they are genuine and it’s completely organic. Kolau is the easiest way to market your small business. Request early access and start owning your small business online presence today. No marketing knowledge needed. No agencies required. Now you know, now you can. Be sure to subscribe to our blog for more articles like this!